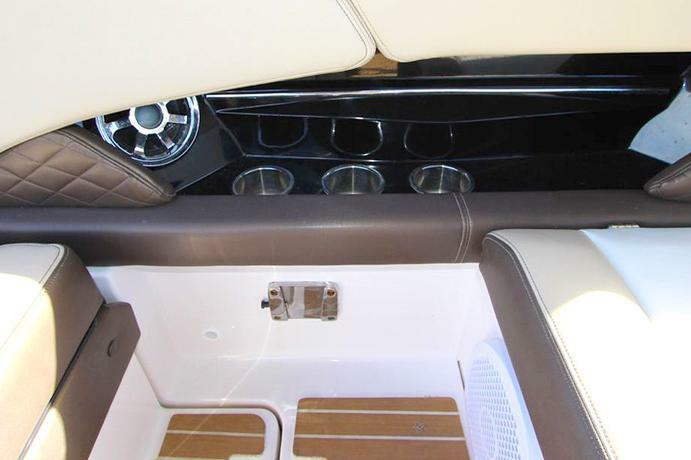 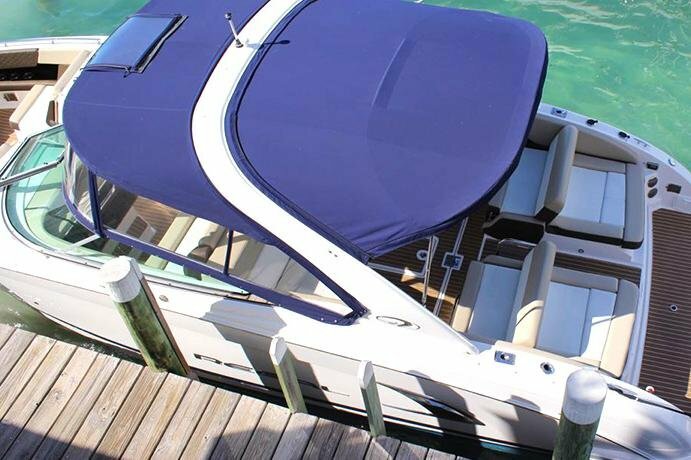 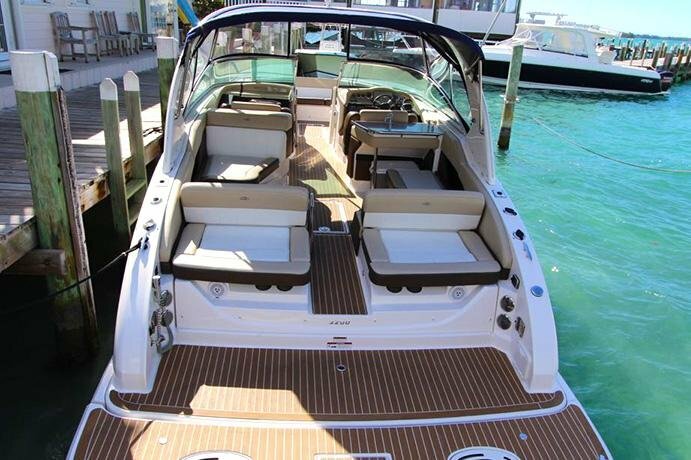 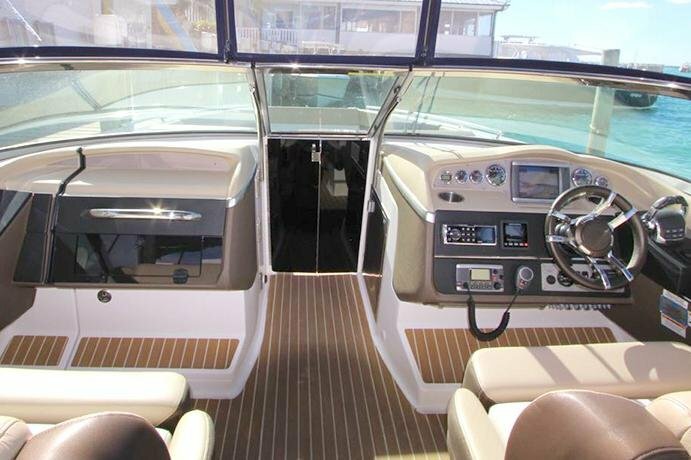 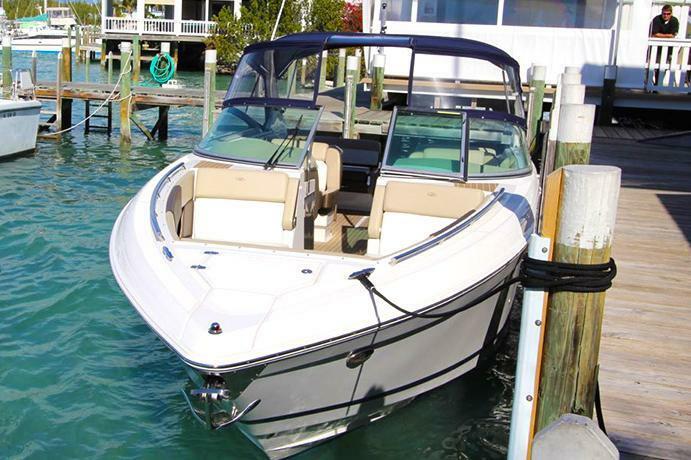 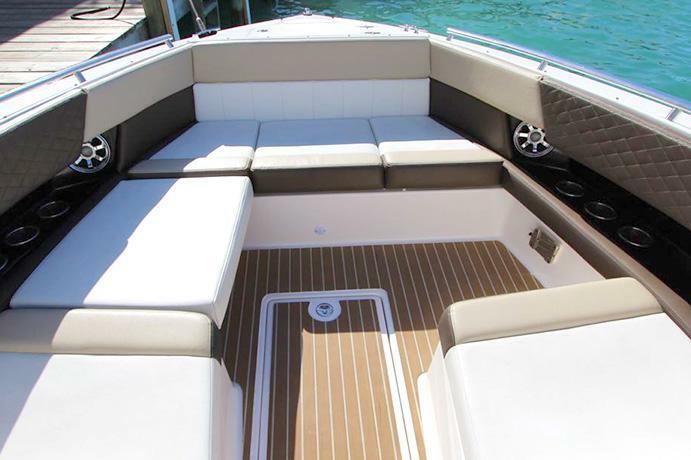 If you want to go boating in style and luxury with friends, family or business acquaintances, this is the most beautiful boat available for rent in Abaco. 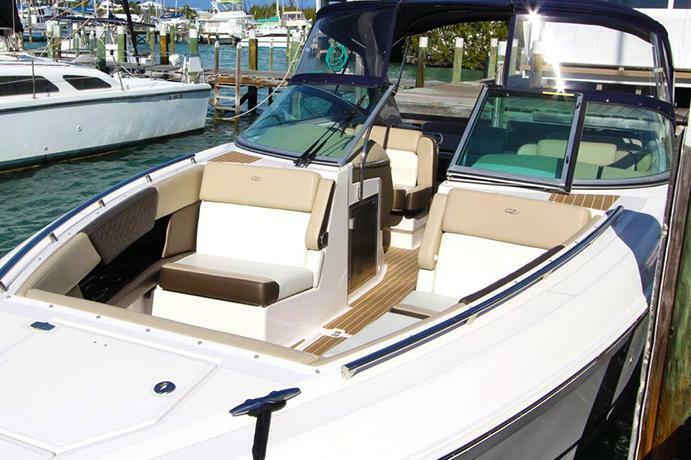 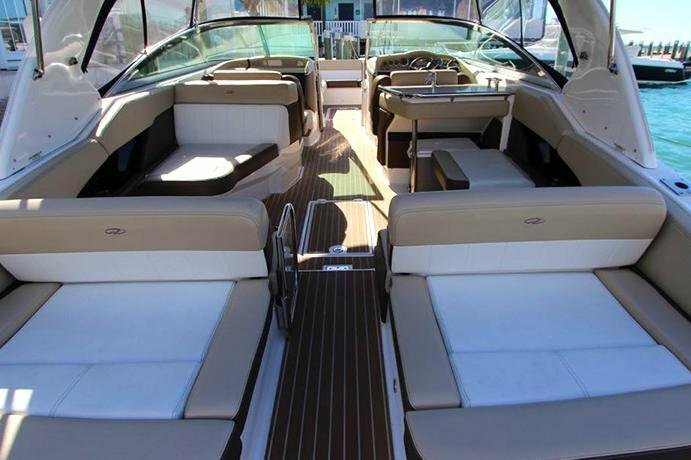 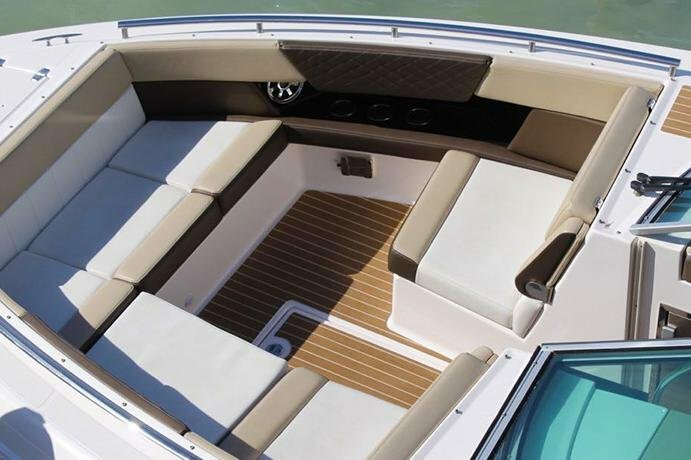 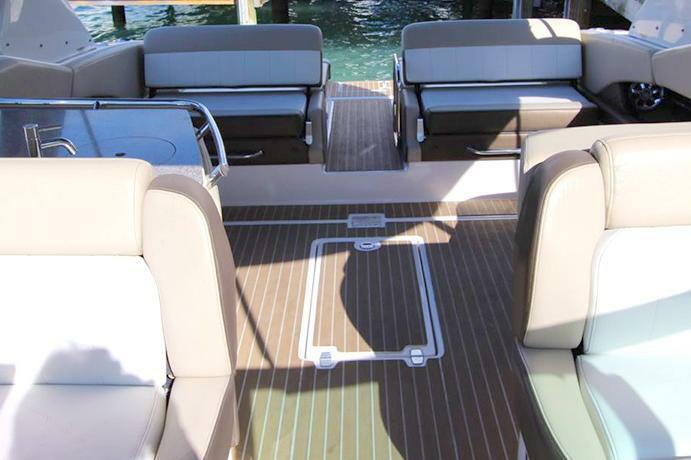 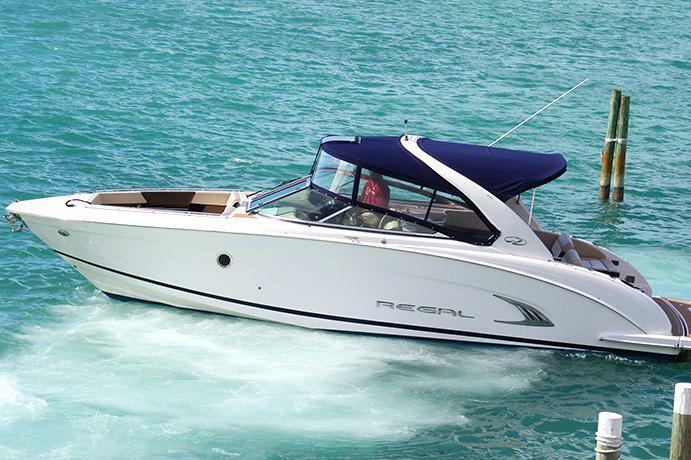 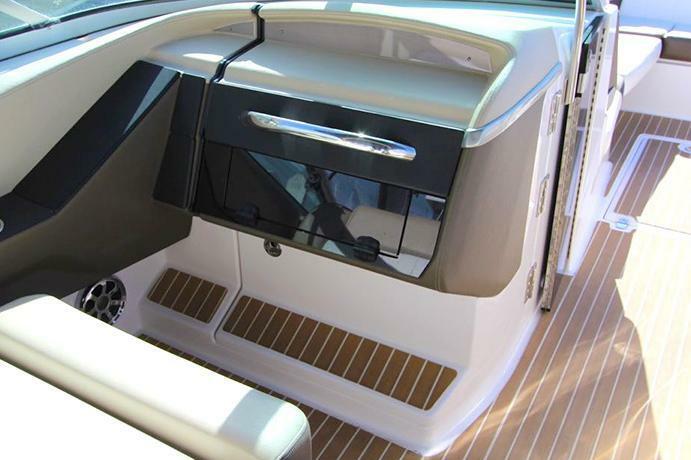 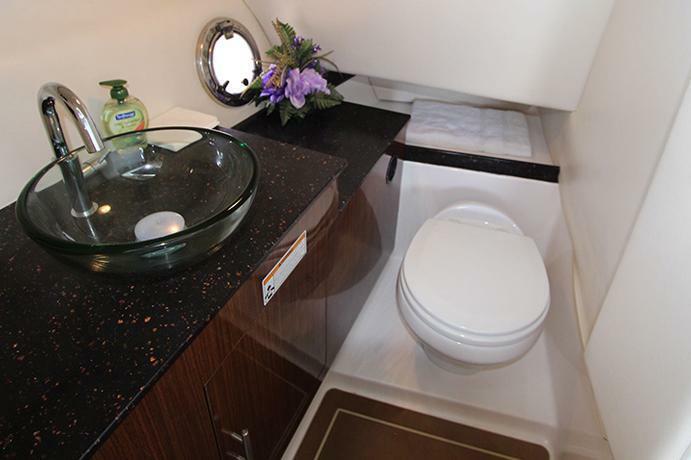 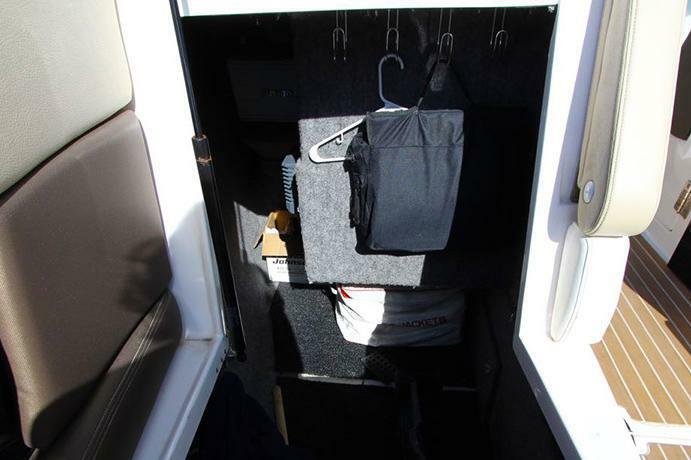 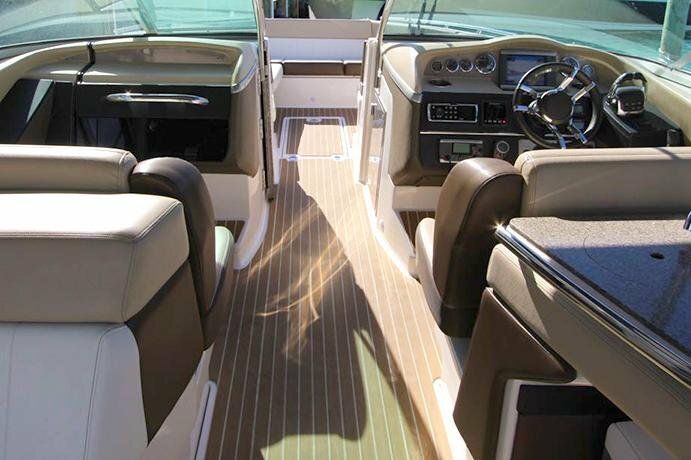 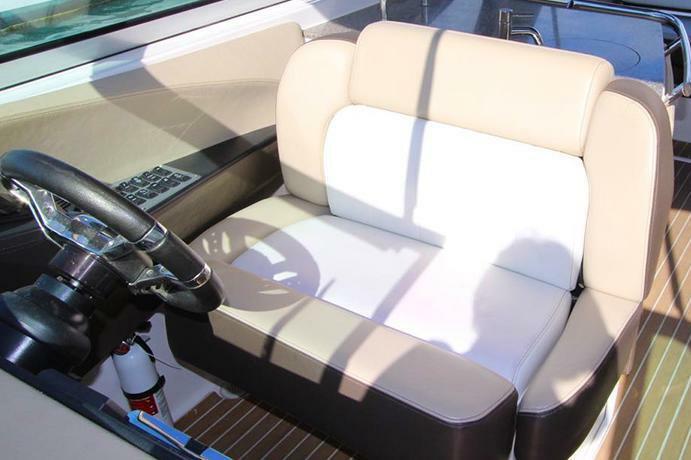 The 3200 Regal comes with a captain so you don't need to worry about anything. 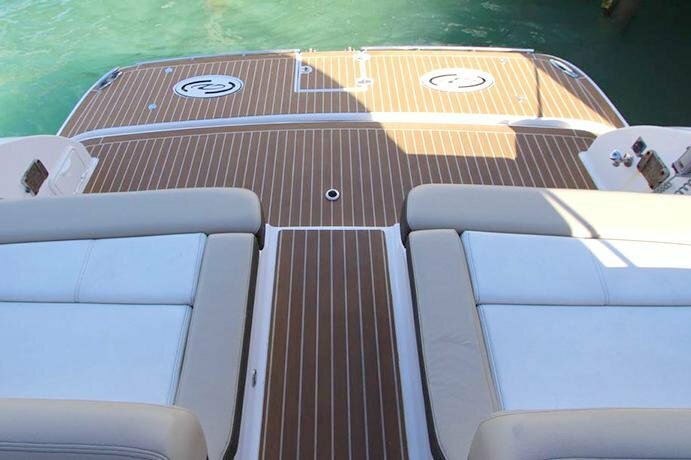 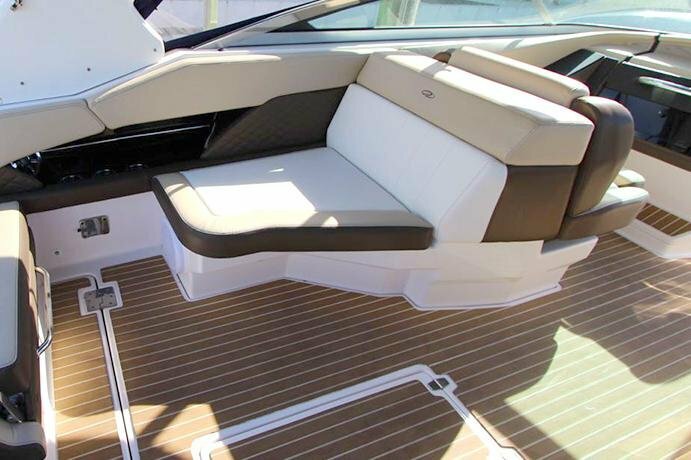 Just sit back and enjoy the many features: Hydraulic swim platform, seating for 12 people, dual multi-position sun lounges, enclosed full-size head, refreshment center and Fusion 700 Marine Stereo. 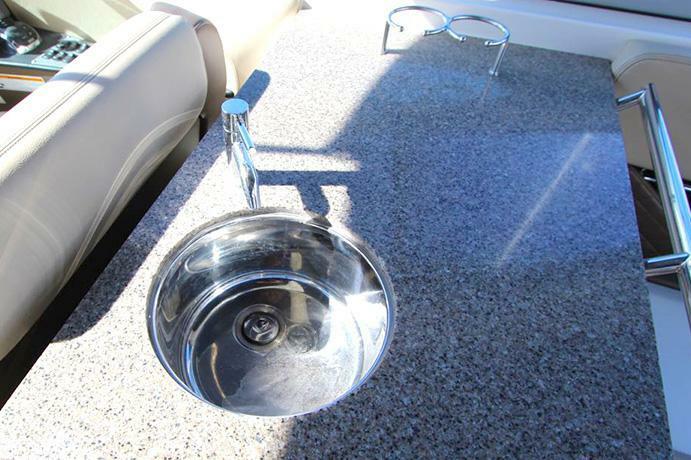 This beauty is perfect for larger groups or couples who simply want luxury. 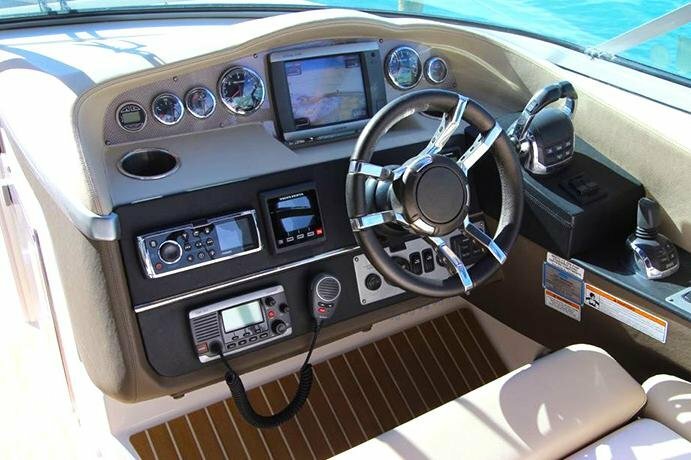 Let the captain take you to the best beaches, the best snorkeling sites and the most fun island hopping. 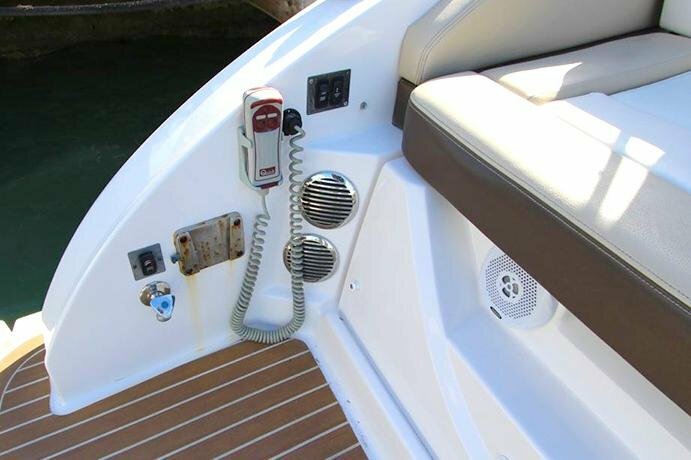 Usually this boat operates around Marsh Harbour, BS.